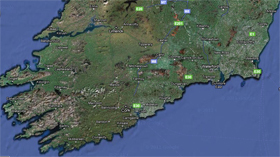 Solar Broadband is a Network Communications company based in Dungarvan Co Waterford, Ireland. Having being involved in some of the largest network projects in the country in the last ten years our experience in Wireless Internet, VOIP (Voice Over Internet Protocol) and IPTV is second to none. Our Engineeres hold Cisco, Mikrotik, Microsoft and Linux certification. Solar Broadband has built a Next Generation Wireless Network with advanced bandwidth management and dual resilient Tier-One Fibre Optic backhaul onto the International grid. Having secured the sole exclusive rights to a long established transmission network spanning the province of Munster, we are in an unique position to offer point to point secure links, VPN's and Broadband to a wide coverage area. We offer a no-limits, continuously monitored network that is a generation ahead of the competition. Advanced bandwidth management control allows for superior speed and reliability. Contention Free Backhaul Links to ISP's and companies congestion free internet to the customer. New areas of coverage are being added to our network each week. Please phone (086) 310 2295 to check if your area is covered.